The AP DSC Urdu Teacher Recruitment 2018 Notification has released. Interested candidates can check the details from this web page and apply for apdsc.cgg.gov.in Advertisement 2018 for Urdu Teacher (Backlog) Jobs. 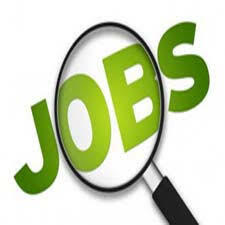 The Andhra Pradesh District Selection Committee had declared this recruitment for total 211 Vacancies. Competitors should have to submit the application form before the closing date that is 14th August 2018. For the sake of job seekers, we had attached the official notification at the end of this page. Aspirants should know the ఆంధ్ర ప్రదేశ్ ప్రభుత్వం Openings 2018 details such as Age Limit, Selection Process, Application Fee of the exam, Educational Qualifications, Important Dates, the procedure to fill the application form. Therefore candidates go through this whole article and apply for AP DSC Urdu Teacher Recruitment 2018 as soon as possible. The Andhra Pradesh District Selection Committee is going to hire the aspirants through the Written test. The applicants who are eligible can apply through online. Candidates who are available they can grab this opportunity. Competitors who are applying they must have to check details which were given by Officials such as Education qualification, Age Limit, Selection Process, Application Fee and the process of applying. Contenders who are interested to work with AP Government they can apply because vacancies are more and easy to grab this job. Because it has only two rounds for the selection process. And, the main thing is that not every aged candidates are eligible. The Andhra Pradesh District Selection Committee has given Age limit to apply. The candidates who are having sufficient eligibility of Age Limit, they only need to apply. So, first check the complete details of the AP DSC Urdu Teacher Recruitment 2018, then check whether you are eligible or not. If you qualify, then apply for the posts. For more details, candidates need to visit the official website of Andhra Pradesh District Selection Committee that is apdsc.cgg.gov.in. After checking all requirements if you think you are eligible to apply, then you can apply for AP DSC Urdu Teacher Recruitment 2018. Post Name Urdu Teacher (Backlog) Posts. Now, the candidates who are interested to know the details of AP DSC Urdu Teacher Recruitment 2018 they can check from above. The table consists of the total information of AP DSC Urdu Teacher Recruitment 2018 like Organisation Name, Vacancies, Number of positions along with the position name. And also you can check the starting date and end date along with the selection Process from official site apdsc.cgg.gov.in. Well, in this we are giving data regarding Vacancies along with the Name of vacancies and the total number of vacancies. In the below sections we are also provided the number of posts according to category wise. Candidates who are ready to apply for the AP DSC Urdu Teacher Recruitment 2018, they need to check the educational qualification. The aspirants who are having the essential skill they can apply. Educational Qualification: Graduation or B.Ed. Degree with a qualifiable percentage from a recognized institute or University. After, the Education Qualification, candidates should have to check the age Limit. Because the aspirants who are having the acceptable age limit provided by AP DSC Urdu Teacher Recruitment 2018 they only have to apply. Candidates should have the age correctly. Aspirants should go through the AP DSC Special Urdu Teacher Recruitment 2018 Notification to check the details of application fee which is available at AP DSC Official Website. Therefore, you are recommended to make a payment of application fees based on your category through available online channels. On the homepage, search for AP DSC SGT Recruitment 2018 Notification PDF in notification section. Click on that and read the details of eligibility criteria. Click on the apply button and download it. Well, our team Sarkari Recruitment had provided the complete details regarding AP DSC Urdu Teacher Recruitment 2018.